Hello there all you 2crafty fans...welcome to November! Today I'm going to share 3 layouts using some fairly simple techniques. When you're stretched for time, your chipboard pieces can still look fantastic with some quick simple techniques applied. Sometimes I can spend a lot of time waiting for my various layers & techniques to dry....but this month, being low on time, I've kept things fairly simple, and I still think my chipboard pieces came out looking a-ok. Using Albert Square Frame, Corner Whispy Vines & Captured Memories title. The Captured Memories title, I've primed in Gesso, then coated in Tim Holtz Clear Rock Candy Distress Stickles...dried with my hairdryer (yep, I don't own a heat gun!! lol) and then roughly painted with Wheatfields Glimmermist. I love the effect that the painted glimmermist gives! For the Albert Square Frame....again primed in Gesso, then just a dab here & there of the Distress Stickles and then random dabs of the Wheatfields Glimmermist....making sure I left lots of the white gesso still showing. The Corner Whispy Vines is again the same techniques....primed in Gesso, a few dabs of Stickles, then painted in Slate Glimmermist. I cut the Corner Whispy Vine in half (at the corner) before applying the gesso/stickles/glimmermist....so that I could then spread the vine out so that it wasn't all hidden under my cluster. 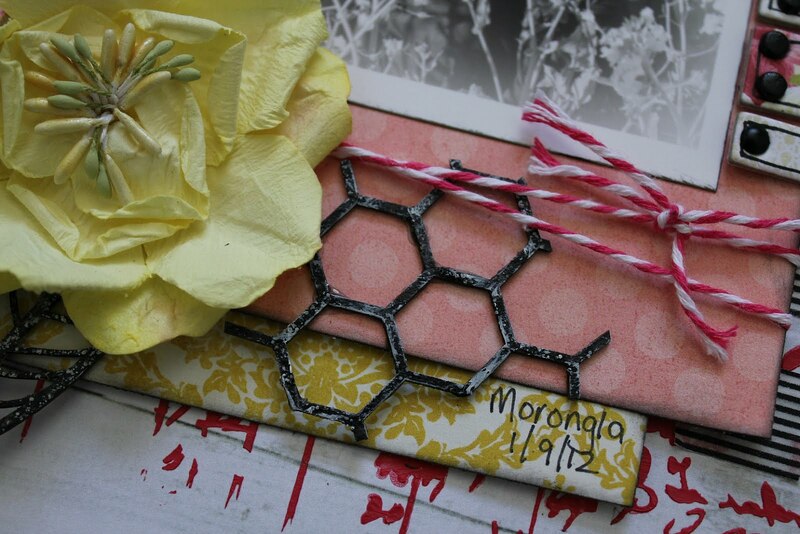 For this layout, I've kept my chipboard pieces raw. The Summer Leaf Stems I've then simply machine stitched a line down the centre of each leaf and then lightly inked the edges. I really love these leaf stems...they are so so versatile for any style of layout! Here you can see the Autumn Leaves tucked into my cluster...again left raw with the edges lightly inked. And the same for the Barbed Wire strip....raw & edges inked in Pinecone ink. Okie doke....last layout, one that you may have already seen. 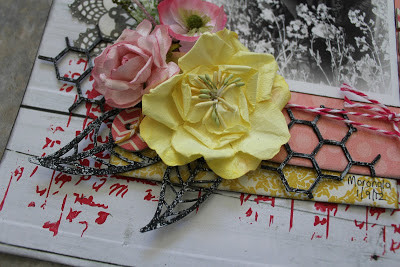 I created this layout for a colour palette challenge at Scrap Friends. 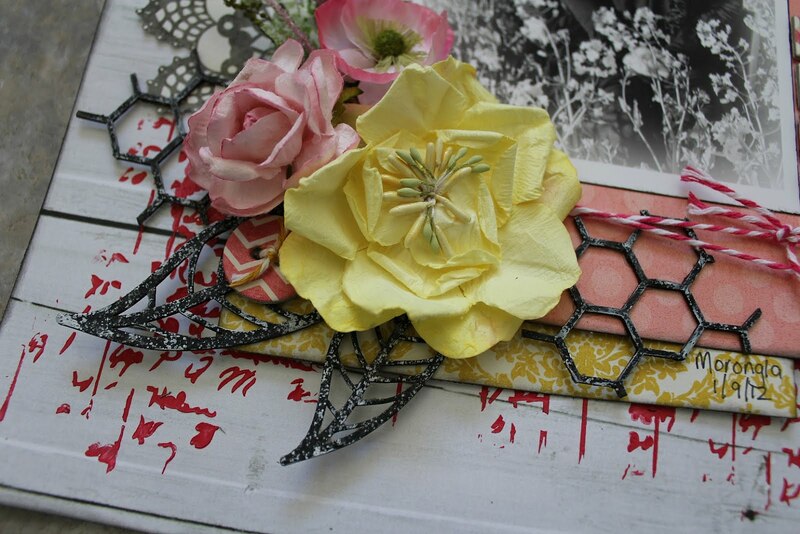 Using 2crafty Chicken Wire panel, Skeleton leaves & Pretty Butterfly. Here you can see the Skeleton leaves & Chicken Wire....simply inked straight onto the raw chipboard using Tim Holtz Black Soot distress ink ....some Distress Stickles painted all over & then once it was dry, I put small amounts of gesso on my finger & lightly rubbed it over the stickles...which gave this great frosted type effect. And the exact same technique was used for the Pretty Butterfly with a Lil' Red Rocket fabric button placed on the body of the butterfly. Thanks so much for dropping by the 2crafty blog today! 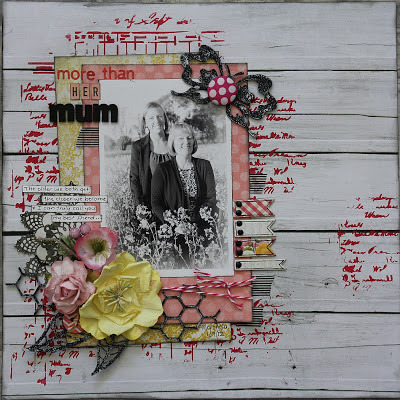 Absolutely gorgeous layouts Linda, love them all, but especially the first using the frame. Love everything about it. Great job. 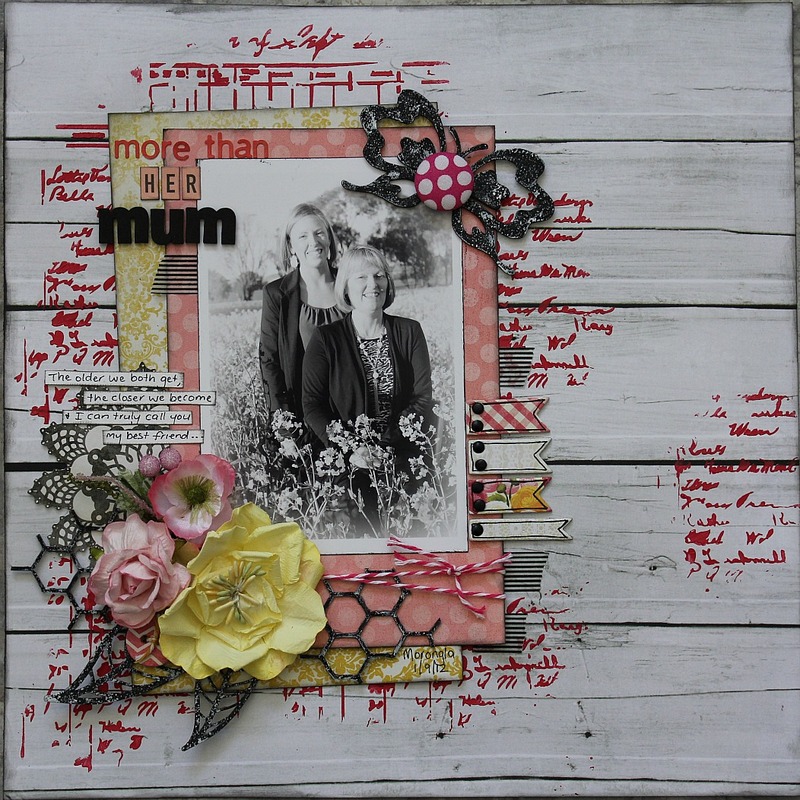 Fabulous layouts Linda, love the frame in your first and the stitching on the leaves looks fab in the second one! Gorgeous work. fantastic layouts Linda!! 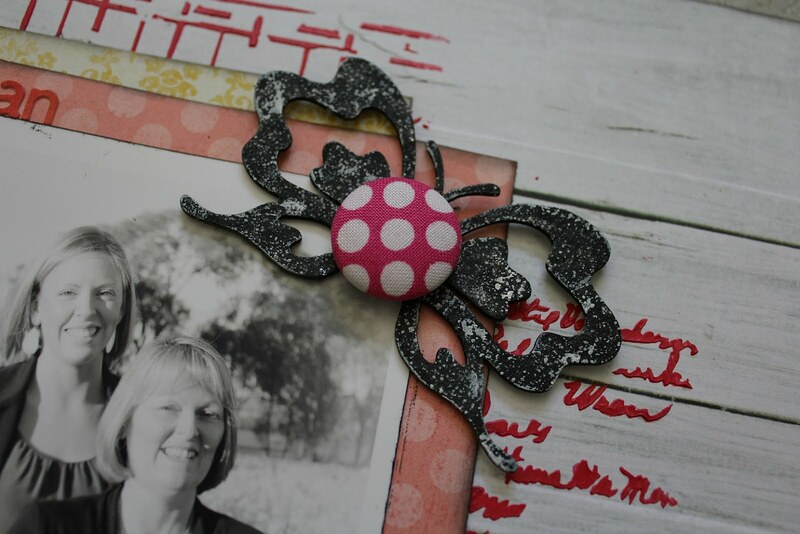 I love all those chipboard pieces and how you altered them!! Amazing layouts Linda. I looked at the close ups of all your layouts and I'm glad I did. I love all the layers in your layouts. All gorgeous layouts Linda. I love the simple techniques you've used, they look great. These are all stunning, Linda!! I love the stitching on the leaves on the second one, how neat!!! Gorgeous pages, as always!! !